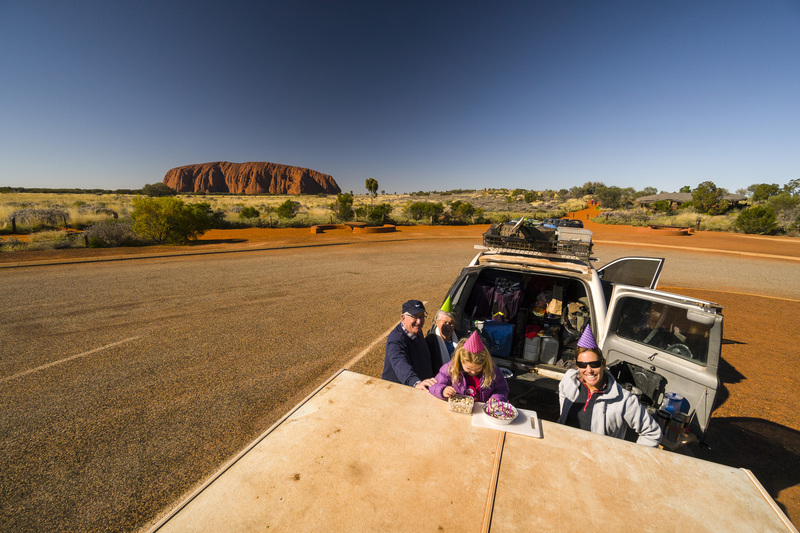 It was an epic trip of a lifetime: two weeks from Darwin to Uluru with three generations of family squeezed into the LandCruiser, and we made every moment count. 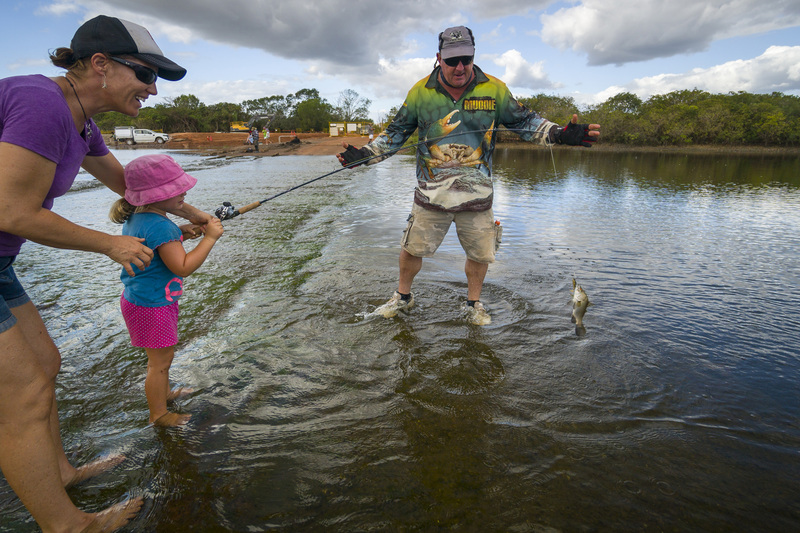 We dangled our fishing rods with crocs at Cahills Crossing, snorkelled Bitter Springs, and cruised through Katherine Gorge at sunrise. 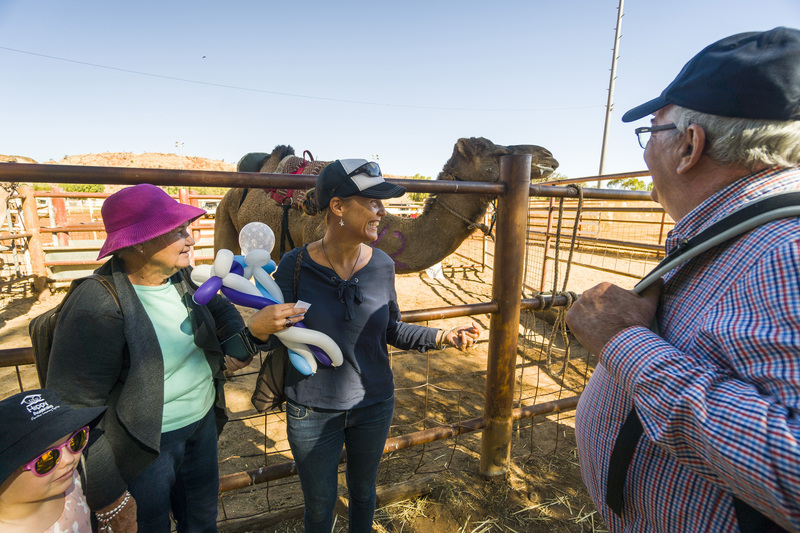 Roaring campfires, mad camel races, champagne sunsets and crazy-busy camping routines turned this into the most cherished trip of the year, especially for my then six year old who lapped up all that generous grandparent-time. Behind the scenes though, days were filled with endless packing up and setting up, and a rigorous routine of driving, cooking and playing host to family members unused to camping. At trip’s end we bid them farewell – worn-out and weary – but my parents had such a good time I think they went home and rewrote their wills. It wasn’t all smooth sailing but making my parent’s bucket-list adventure come true taught me valuable lessons about sharing small spaces (and sharing the load), voicing expectations and biting my tongue. Ultimately though, our family is much closer for having camped together. Having fresh, albeit familiar faces on board can really amplify the summertime fun, so take these 10 top tips on board and go make some memories. 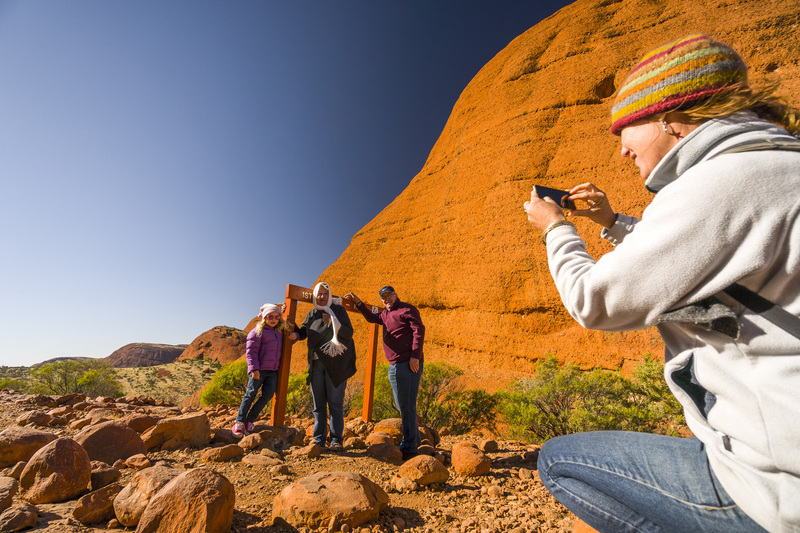 You might be spending the summer at a favourite holiday destination or tackling an adventurous family road trip. Either way, it’s important to make those plans together. 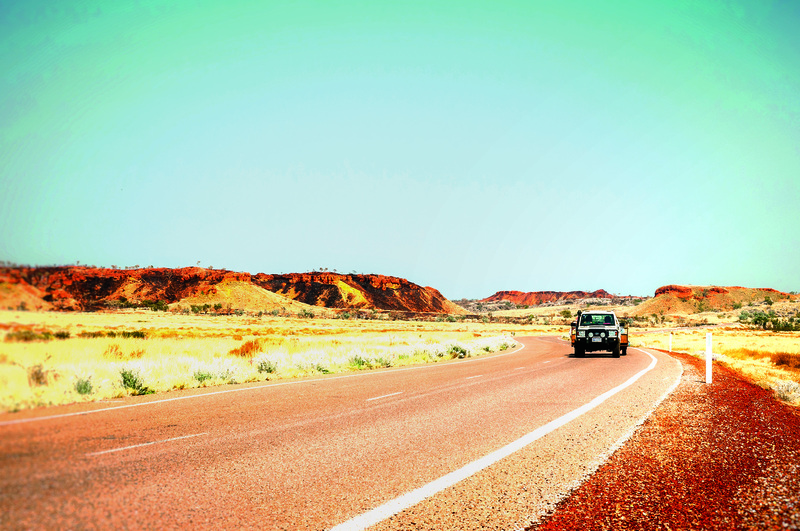 If a road trip is on the cards, discuss a general itinerary and route with everyone on board, before setting out. It should factor in time for activities and stops at places that all family members will enjoy. 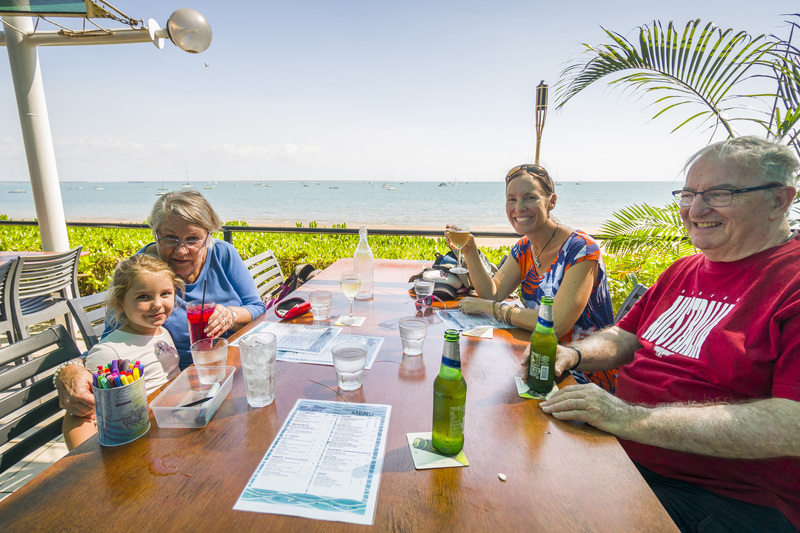 Consider too that while you and yours might be avid anglers, your guests might prefer a beach walk, or to spend time at a museum, go market shopping or enjoy a quiet coffee and good read. If possible, agree on how long the holiday or adventure will last so that you can all prepare and behave accordingly. Truth be told, you are less likely to blow off steam over something trivial if your time together is finite. 2. MY SHOUT OR YOURS? How you cover the costs of your trip will probably depend on your relationship with your guests, and how long they will be with you. Regardless of whether you are treating your guest to a holiday, or expect them to contribute to daily expenses, make this known upfront so that everyone is comfortable with who pays for what. If you are travelling together for more than just a few days, consider pooling some cash to cover basic expenses: fuel, camping fees and food. Keep the cash stored in your car’s glovebox or some other neutral spot where each of you can access it and top it up when funds run low. Alternatively, your guests may be happy to pay for campsite fees, while you cover fuel. Whatever your arrangement, make it clear from the outset to avoid any friction. 3. BEER OR CHAMPAGNE BUDGET? How richly do you live on the road? 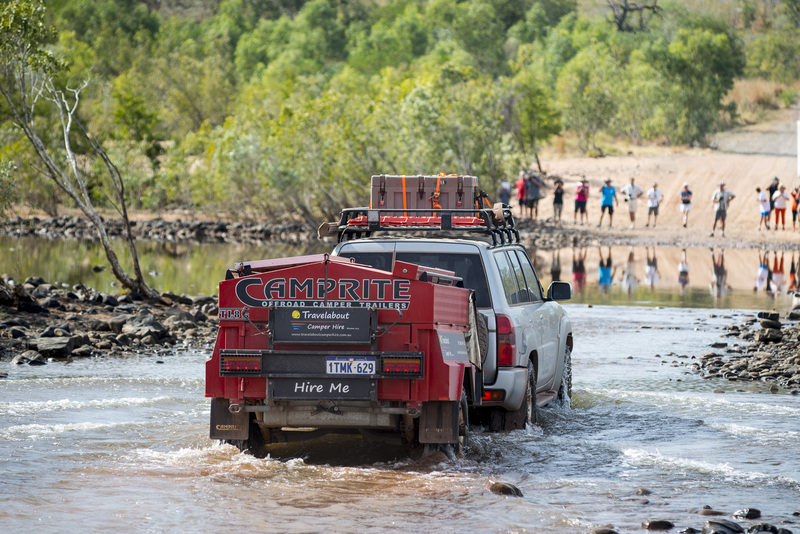 If you revel in campfire cooking and bush camp freebies, having a champagne-camper on board can challenge the travel budget. Years ago, I watched on in horror as my elder sister loaded up our shopping trolley with gourmet produce and luxury items, things that we considered treats on our beer-budget, Top End road trip. We had agreed to split the grocery bill but her pricey food choices were difficult to stomach! A quiet conversation later and we’d agreed that a low-cost grocery bill would convert to more fuel in our tank, and get us to many more priceless Kakadu locations. Win-win! On that road trip, I also had to break my sister into our kind of bush camping, without many of the creature comforts I’m sure she’d expected. If you love to get away from it all, make sure everyone in your crew anticipates this and is happy to forgo their creature comforts. 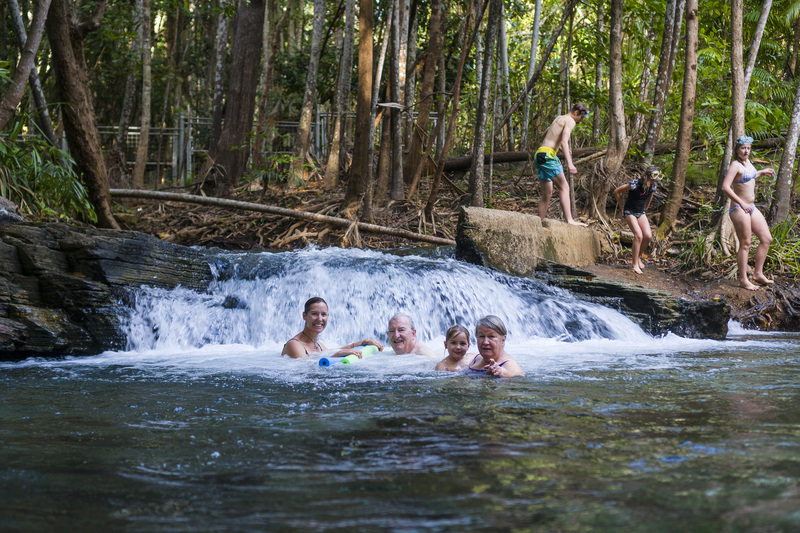 You might find, like my sister did, that everyone enjoys the adventure of an al fresco solar shower and hearty campfire dinner, but if you suspect that the rigours of your kind of camping might strain your guests, consider staying in holiday parks or national parks with a decent hot shower for the duration of their stay with you. A camper is an intimate space, regardless of its size, so make sure your guest understands what this means in advance. Help them to feel comfortable about sharing your personal space, and make an effort to respect their privacy too. That might mean taking your morning cuppa outside to give them time to shower or change, or coaxing the family nudie into wearing their pyjamas. If your guests are new to camping, email or post them a list of items to pack for the trip, and if space is at a premium, let them know that a huge suitcase might not be the way to go. 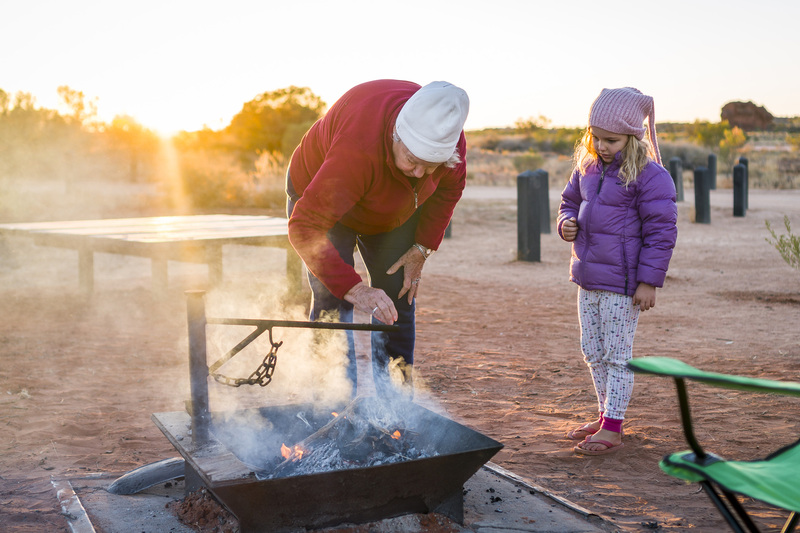 When your guests arrive, give them a welcome pack of camping essentials: a camp chair and travel mug, a small torch, a pair of funny shower thongs, maybe some insect repellent, and a guidebook or novel connected to the area you’ll be travelling through. Having their favourite foods and drinks on board is a nice touch too, especially if they have unique dietary requirements. Don’t be afraid to suggest ways that everyone in the family can help. Your guests may only be standing on the sidelines because they don’t know what to do or how to do it, and don’t want to get in your way. On our Red Centre adventure, my Dad felt increasingly frustrated by our refusal to let him help. We wanted him to relax, and really, it was just easier to tackle our well-oiled setup routine by ourselves. Dad, on the other hand, wanted to be part of the team and once we showed him how to tackle a few tasks, he felt much less of a ‘guest’. 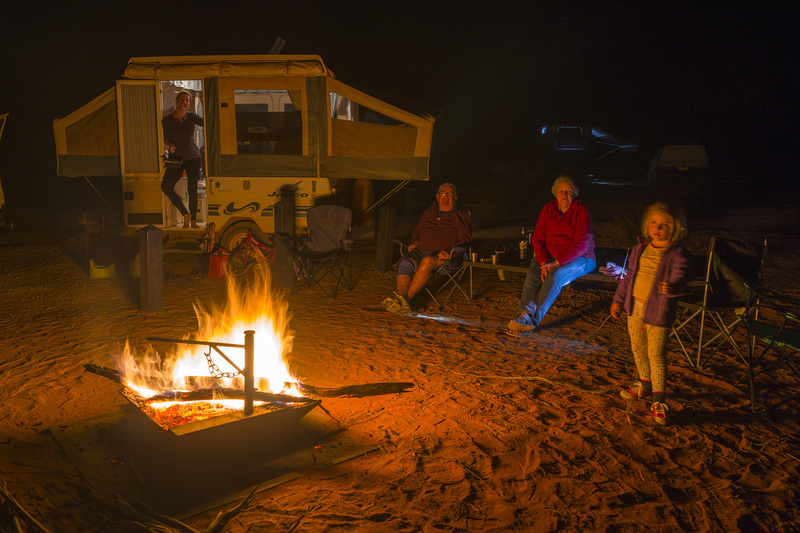 Before the trip begins, spend time showing your guests how things work in your camper, from the stove to the toilet, who sleeps where and how the awning rolls out. Point out where everything is kept at the outset and outline any issues you have about power usage and quick showers. Don’t take anything for granted: if your guest is a beginner camper you might have to school them on seemingly obvious tasks, but never assume they will know what has taken you years on the road to learn. On one trip with my sister I patiently showed how to pitch her tent, inflate the camp mat, use a machete and boil a billy, but there were things I missed. After an afternoon spent collecting shells, my sister proudly displayed her treasures at her tent door. The next morning her shells had vanished and it wasn’t until we packed up her tent that we discovered the ‘shells’ cowering in the damp sand with little hermit crabs tucked inside. Needless to say, we laughed ourselves stupid and gathered them up to release on the beach. You probably wouldn’t be accommodating any family member that you didn’t feel comfortable with. That said, how does your wife feel about sharing her space with your brother? And ladies, how does your husband feel about waking up to find his mother-in-law in her dressing gown, making a morning cuppa in his camper? We’ve all seen those backpacker vans that seem to accommodate an extraordinary number of youngsters, sleeping who-knows-where, but obviously saving buckets by splitting the fuel and rental costs. No one over 25 wants to travel like that. It was with quiet amusement that I watched four grown adults pile out of a tiny pop-top camper at dawn in the Kimberley. How they were managing to co-exist I will never know (they all looked too grumpy to ask). Before you sign up for the relative-in-the-rig experiment, it’s worth considering how you will feel about sleeping, waking and showering in close confines with extended family members, who will observe your personal habits, conversations and maybe a marital tiff too. Your camper might well be large enough to accommodate a crowd, but to help maintain everyone’s privacy (and sanity), pitching a tent for you, the kids, or your rellies is not a bad idea. If your guests are not accustomed to camper life and tents are out of the question, holiday park cabins can simplify things and solve the privacy issue. If the van walls are closing in on you, or you find yourself climbing them, it’s probably time to speak your mind. It’s always nicer if the holiday ends before you reach this stage, but if something is really bugging you, your guest probably won’t be fooled by your smiling pretence. Whatever happens on the trip, don’t be afraid to clear the air. A casual, one-on-one chat can nip the issue in the bud before it escalates an argument down the track. While it might not always feel like it, there is nothing more important than sharing quality time with family. Camping trips are all about making memories and no memories are more important than the ones we make with the people we love.